The term ‘induction hob’ seems to be a bit of a buzzword in the appliance industry at the moment. Highly sought after, this innovative piece of kit looks to be taking over as the favourite from the traditional gas hob. Unlike gas or conventional electric hobs, induction cooking transfers heat directly to the pan through a magnetic field. Consequently, more of the energy is used to cook your food, and less is wasted around the room, preventing from overheating the kitchen and saving you money and energy. As a result of their optimum use of energy, induction hobs have a faster cooking time. 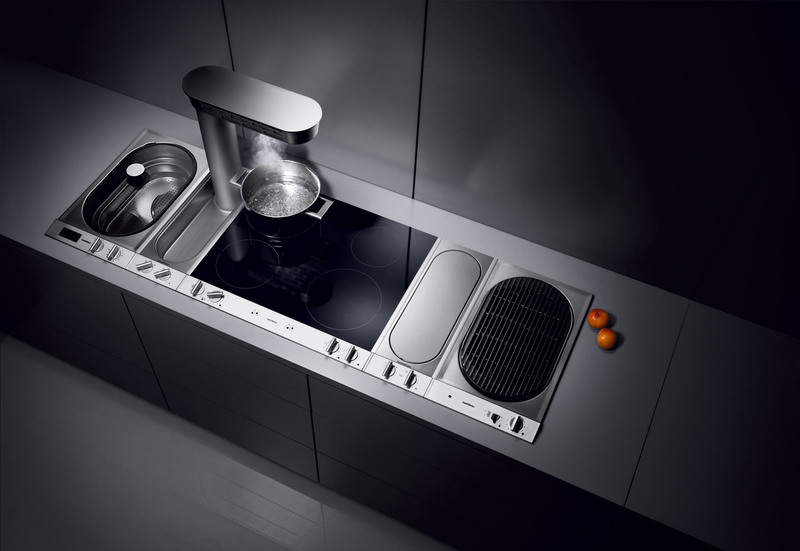 Adding to this, induction hobs such as the Flex Induction Cooktop 200 Series CI 292 by Gaggenau, feature an advanced booster feature which temporarily increases the hob’s power by about 50 percent. 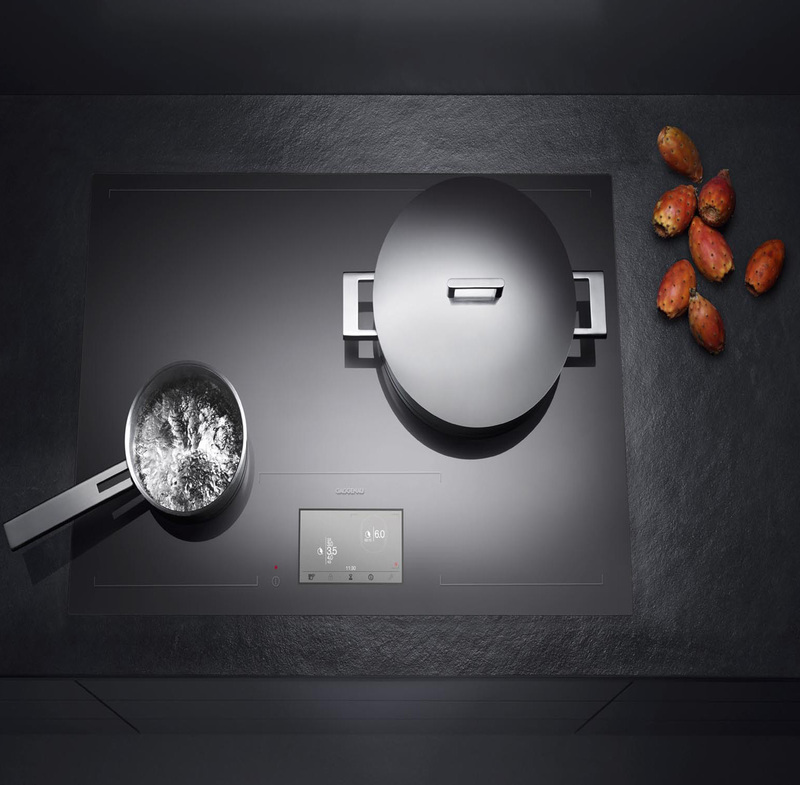 Consequently, induction hobs, such as the Gaggenau Flex featured above, are extremely beneficial for boiling water, searing food or heating oil quickly in preparation for cooking, making them an efficient alternative to traditional gas hobs. As heat is transferred directly to the pan through a magnetic field, the stovetop barely gets warm. This, combined with the digital controls that allow you to lock the heat controls so they can’t be changed by children, make the induction hobs a safe alternative to gas and conventional electric hobs. 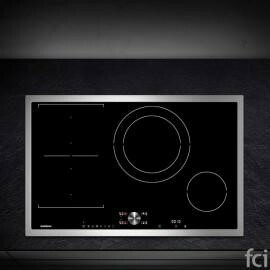 Induction hobs like the Gaggenau Flex Induction Cooktop 200 Series CI 282 come with automatic pot detection built in. This means, the hob will automatically detect when a suitable pan has been placed on the hob and only heat up when it senses the pan’s magnet. In turn, this prevents the hob heating up when other objects are placed on the hob or when children touch the hob, making it a safe and reliable appliance for families. As the hob itself doesn’t get hot, when food is spilled onto the surface it is unlikely to burn and will instead just easily wipe off. Adding to this, their flat glass surface is very easy to clean with a damp cloth so you can say goodbye to long nights cleaning stubborn stains from your stove top. Flat surface induction cooktops, like the Full Surface Induction Cooktop CX 480 by Gaggenau, have a slimline design that blends seamlessly into your kitchen and worktops. With this contemporary design they are guaranteed to be a long lasting and stylish focal point in your kitchen. 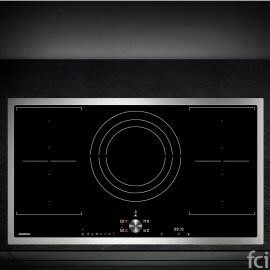 Due to their magnetic field, induction hobs only work with certain pans that are made of magnetic materials. Consequently, installing an induction hob requires you to purchase a new, specially adapted set of cookware. Adding to this, induction pans tend to be slightly more expensive, a factor that often puts consumers off. Due to their glass surface, scratches and marks are quick to show on induction hobs. However, it must be noted that this can also be the case with other cooktops. Induction cooktops on the whole are more expensive than gas and conventional electric hobs due to their advanced technology. However, after the initial cost, induction hobs are likely to save you money due to their quick cooking times and efficient energy use. With their advanced technology and huge range of benefits, Induction hobs have revolutionized the cooking industry and offer an efficient alternative to traditional electric and gas cooktops. At FCI, we have a contemporary range of induction hobs and kitchen design experts available in our London showroom to help you create your dream kitchen.